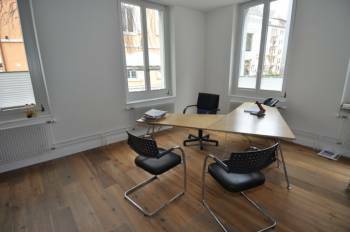 Rent out this well equipped day office close to the lake “Zürichsee” for your next small meeting in Zurich. Beamer and flipchart are already included in the room hire price, and you can also make copies and scans for a fee. A fax is also available. The half-day price for this room is 120 CHF.This location also offers meeting rooms.